Cognitive functioning is what allows us to be productive, focused, our ability to learn and remember….a few skills necessary for productive and engaged employees**. Cognitive health determines what work we can do and for how long and is strongly affected by physical health, sleep hygiene, nutrition, physical activity and exposure to oxidative stressors. Cumulatively, we have the foundation for cognitive functioning, therefore, performance and productivity. Meta analyses have shown the power of cognitive ability in predicting job performance. A positive relationship between cognitive ability and task performance has been well established. 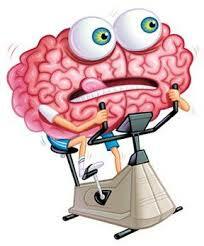 For this reason, our cognitive function assessments at Best In Corporate Health have a different methodology. Assessing cognitive health alone does not provide a complete analysis for a comprehensive plan to improve cognitive functioning. “The CDC priorities reflect expansive literature focused on modifiable lifestyle and behavioral factors potentially associated with cognitive decline. A key concept underlying these efforts is the idea of neuroplasticity, or the capacity of the brain to reorganize, change its neural structure, and form new neural connections throughout life. The discovery of the brain’s ability to grow new neurons at any age represents a major departure from the previous understanding of the brain as fully formed early in life. Researchers now believe that the brain changes throughout life, growing new cells and altering neural structures in response to certain environmental input.” ……Aging is not a disease. Understanding how our lifestyle choices and exposures influences our neuroplasticity is the key to continued cognitive performance, increasing our ability to learn, perform and become increasingly productive.